There are plenty of things to do in Malaysia to really enjoy you trip. And Malaysia is one of the countries you should be prepared for beforehand to avoid disappointment. Here are some tips! First, you should definitely visit the capital of Malaysia, Kuala Lumpur, and that might take about 2-3 days. It is better to find accommodation not far away from the city center since the prices are quite cheap and you can choose one from four or five star hotels. 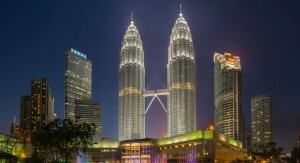 In Kuala Lumpur you should take a look at Petronas towers which were built on the period from 1992 to 1999. Nowadays, it is the world’s highest dual building! You can go to the bridge which is on the 42nd floor or get to the 88th floor of one of the towers and seize the beauty of the city. You should book the tickets in advance in the morning, or if you wish to get the ticket for particular time, it’s better to come at 7-8 o’clock in the morning. And then you have to visit the towers on time. In twenty minutes on foot from the towers you will get to television tower Minara. The thing is you can get the tickets at any time as well as take your time as you wish. There is also a restaurant where you can have your lunch or dinner, but the table should be booked in advance. One more “must see” is the open bird park, the biggest open park in the world. You can feed the birds and enjoy the show. Next to the park there are also parks of butterflies, deers and orchids. The government of Kuala Lumpur takes measures to keep 40 per cents of the city to be green. That is why it is called the city of gardens! Since Malaysia had been the colony of Portugal, Holland and the Great Britain, the country has saved its heritage. So you can enjoy the sightseeing of beautiful ancient buildings on the square. Malaysia is a Muslim country so you can give attention to the beautiful mosques. You can also look at the interior, but men should have shoulders and legs covered and women will be given capes, cultures and religions differ remember but there is no restriction to touring around. Moreover, you can just walk on the streets of Kuala Lumpur – it is also very interesting, especially in the evenings, when the sun sets and the air is no so hot. The city is 500 km from the equator which influences on the climate. You can visit the Bukit Bintang street where a lot of cafes, bars, restaurants, hotel as, spa-centers and shops are situated. You can also find the Chinatown and enjoy street food since a lot of Chinese people live there. Talking about the food, there’s a wide range of dishes from different cultures such as Malaysian, Chinese and also Indian! There are also dishes from western cultures and the local prefer Italian pizza and pasta which you can find everywhere. Finally, you are now ready to travel to Malaysia and will never be bored.